UPDATE: Apple has been in touch to tell us that it denies they told the Mirror the name “Wouldn’t be too similar”, stating that as usual it does not comment on speculation and rumour. UPDATE 2: We’ve added a statement from ITV at the end of the post. 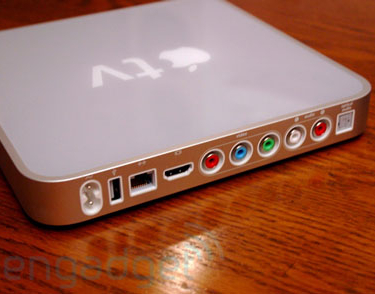 When rumours surfaced earlier this week that Apple was planning to rename its Apple TV set-top box the iTV, the question asked in the UK was “What about our 55 year-old TV network of the same name”? While it sounds to us like there’s been some serious tabloid spin put on that quote (see our more sober response from the broadcaster below), the paper does report that an Apple spokesperson denied that the name of the device will be “too similar”. (As we note above, Apple tells us it never made that claim and that it does not comment on rumour and speculation). The fact is, of course, that this is still a rumour. ITV is unlikely to make any legal move to protect its trademark until an official announcement s made by Apple. Given that ITV is a long-established media player and that the UK market is important to Apple, we can’t see this rename being likely. They certainly sound like fighting words to us.